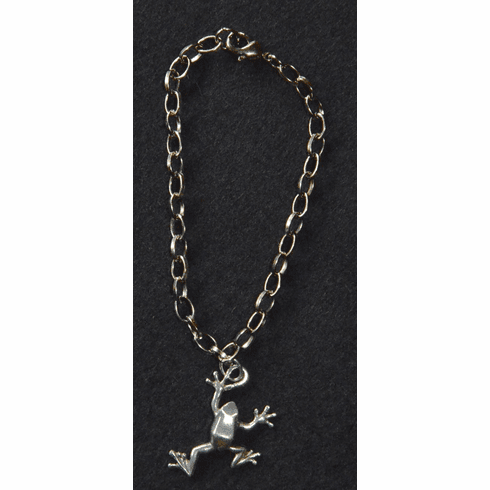 Pewter Frog Charm Bracelet - Traditional link pewter charm bracelet with the large frog charm and a secure lobster claw clasp. Charms can be added easily if you so choose or wear it as it is, great gift for any age. Bracelet measures 7" in length, charm is 1", gift boxed. Copyright 2005-2018 Rivergate Gardens, LLC All rights reserved.